Everyone loves pie, but we also love Pi. Used to calculate the width of a circle, Pi is an infinitely-long number derived from complex mathematical computations. Most of us remember that Pi is close to 3.14, but many others pride themselves on remembering the first 39 digits, which is how many you need to properly calculate the spherical volume of the universe. The number's rise to stardom seems to have come from its challenge to memorize those 39 digits, as well as the fact that is has what many of us can agree might be the best homonym, pie. Pi enthusiasts have come to embrace March 14 as Pi Day, 3.14, a unique holiday which has launched numerous educational (not to mention delicious) ways to celebrate. 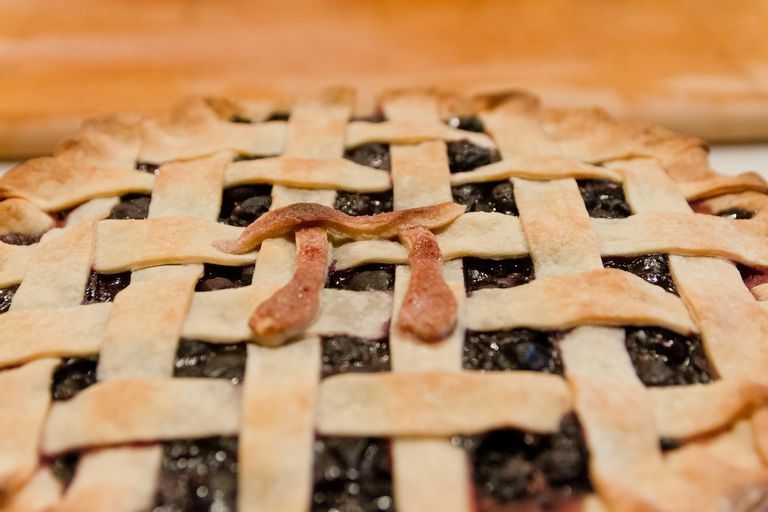 Some of math teachers at Milken Community Schools in Los Angeles helped me assemble a list of some of the most popular (and yummy) ways to celebrate Pi Day. Check out our list of ideas for Pi Day Activities for you to do at home or in the classroom. Memorizing 39 digits of Pi can be quite the challenge, and a great way to get students thinking about those numbers can be to use Pi Plates. Using paper plates, write one digit on each plate and pass them out to students. As a group, they can work together and try to get all the numbers into the right order. For younger students, teachers may wish to only use 10 digits of Pi to make the activity a little easier. Make sure you have some painter’s tape for adhering them to wall without damaging the paint, or you can line them up in the hallway. You can even turn this into a competition between classes or grades, by asking each teacher to time her students to see how long it takes for them to get all 39 digits in the right order. What does the winner get? A pie, of course. Pull out the arts and crafts supplies, because this activity requires scissors, tape or glue, and construction paper. Using a different color for each digit of Pi, students can create a paper chain to use to decorate the classroom. See how many digits your class can calculate! This may be one of the most beloved ways to celebrate Pi Day. Baking a pie and using the dough to spell out the 39 digits of Pi as part of the crust has quickly become a tradition at many schools. At Milken School, some of the Upper School math teachers definitely enjoy having students bring in pies to celebrate, also hosting a small party which might include some special logic puzzles to kick off the class. Not everyone has a sweet tooth, so another yummy way to celebrate Pi Day is with a different type of pie, a pizza pie! If your classroom has a kitchen (or access to one) students can calculate Pi for all the circular ingredients, including the pizza dough, pepperonis, olives, and even the pizza pan itself. To top it off, students can write out the symbol for pie using their circular pizza toppings. 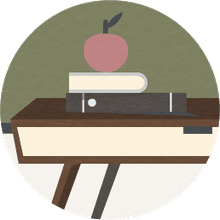 Set up a trivia game that asks students to compete against each other to correctly answer questions about Pi mathematicians, the history of Pi, and the uses of the famous number in the world around them: nature, art, and even architecture. Younger students might engage in a similar activity that focuses on the history of Pi by taking part in a scavenger hunt around school to find clues to these same trivia questions. Math classes might want to celebrate Pi Day with a more philanthropic approach. According to one teacher at Milken, there are several ideas that a classroom might consider. Baking Pi Pies and selling them at a bake sale to benefit a local charity, or donating Pi Pies to a local food bank or homeless shelter can be a sweet treat for those in need. Students can also hold a food drive challenge, aiming to gather 314 cans of food for each grade level. Bonus points if you can convince your teacher or principal to reward students for reaching that goal by agreeing to receive a whipped cream pie to the face! This is a great little game for learning and memorizing the various digits of Pi. You can do this one student at a time in front of the whole class or in groups as a way to challenge each other to remember the digits of Pi and see who gets the farthest. Whether you’re doing one student at a time or breaking off into pairs, the person acting as “Simon” in this activity will have the number printed out on a card in hand, to ensure that the correct digits are being repeated, and will read out the digits, starting with 3.14. The second player will repeat those digits. Each time “Simon” adds a number, the second player must remember and repeat all the digits that were read aloud to them. The back and forth play continues until the second player makes a mistake. See who can remember the most! As an added bonus, make this an annual activity and you can create a special Pi Hall of Fame to honor the student who remembers the most digits each year. One school in Elmira, New York, Notre Dame High School, reportedly had one student remember 401 digits! Incredible! Some schools even suggest having different levels to honor how far students can go when it comes to memorization, with named groups to honor students who can remember 10-25 numbers, 26-50 numbers, and over 50 numbers. But if your students are recalling over 400 digits, you may need more levels than just three! Don’t forget to get all decked out in your very best Pi attire. Pi-tire, if you will. Teachers have long amused their students with math-themed shirts, Pi ties, and more. Bonus points if the entire math department participates! Students can get into the mathematical magic and don their own Pi digits as part of their outfits.